By buying this product you can collect up to 2990 loyalty points. Your cart will total 2990 loyalty points that can be converted into a voucher of 150 Kč. 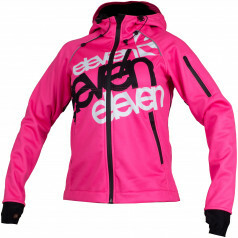 Completely redesigned woman softshell jacket ELEVEN offers a perfectly fitting design and high functionality. The jacket contains a hood with drawstring and three pockets with waterproof zippers. The armpit is equipped with unzipping ventilation, the sleeves are finished with elastic cuffs with thumb holes. For enhanced safety the jacket is equipped with reflectors in the front and rear. 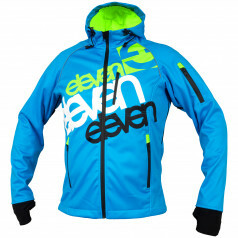 ELEVEN jacket is handmade in the Czech Republic of high quality materials Italian manufacturer PLASTOTEX.